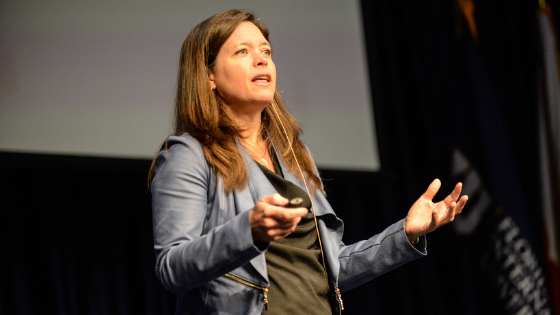 The Leadership Lectures: Christine Porath, Ph.D. The Leadership Lectures feature world-class, accomplished and influential leaders with expertise ranging from business and philanthropy to public service and academic research. Through the Lectures we hope to allow our community to have access to the expertise, advice and best practices of some the world’s foremost leadership minds and so the lectures are free and open to the public. As employees exchange seemingly inconsequential inconsiderate words and deeds, productivity and collaboration plummets, and norms are shredded. If employees are behaving badly toward one another, it means that individuals and teams are losing time, effort, energy, focus, creativity, loyalty and commitment. The effects of incivility flow to clients and external stakeholders, damaging relationships and influence. In this lecture, Dr. Porath will discuss the varied ways incivility wrecks performance and robs the bottom line. She’ll explain what civility buys you and highlight some fundamentals of civility. Dr. Porath will also share recommendations for what leaders should do to enhance their effectiveness and craft a more civil, thriving work environment. 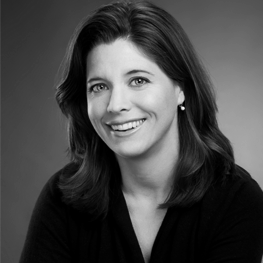 Christine Porath is an Associate Professor at the McDonough School of Business at Georgetown University. She is also a consultant working with leading organizations to help them create a thriving workplace. Her speaking and consulting clients include Google, United Nations, World Bank, International Monetary Fund, Pixar, Genentech, Expedia, Department of Labor, Department of the Treasury, Department of Justice, and National Security Agency. Christine is a frequent contributor to the Harvard Business Review and Psychology Today, and has written articles for New York Times (Sunday Review), Wall Street Journal, McKinsey Quarterly, and Washington Post. She frequently delivers conference talks and has taught in various Executive programs at Harvard, Georgetown, USC, and ESADE. Prior to her position at Georgetown, she was a faculty member at Marshall School of Business at University of Southern California. Porath is author Mastering Civility: A Manifesto for the Workplace and co-author of The Cost of Bad Behavior. Her research has appeared in the Harvard Business Review, Academy of Management Journal, Journal of Applied Psychology, Organizational Behavior and Human Decision Processes, Journal of Consumer Research, and many other journals and books. Christine’s work has been featured worldwide in over 1500 television, radio and print outlets. It has appeared on 20/20, Today, FoxNews, CNN, BBC, NBC, msnbc, CBS, ABC, and NPR. It has also been included in Time, the Wall Street Journal, the Financial Times, Fortune, Forbes, NY Times, The Washington Post, and L.A. Times. Before getting her Ph.D., she worked for International Management Group (IMG), a leading sports management and marketing firm. Porath received her Ph.D. from Kenan-Flagler Business School at the University of North Carolina at Chapel Hill. She earned her bachelor's degree in economics from College of the Holy Cross where she was a member of Phi Beta Kappa as well as the women’s basketball and soccer teams. View a list of past events. The Leadership Lectures are presented with the generous support of Amerant Bank. We would also like to thank our university partner, FIU Honors College for their support.